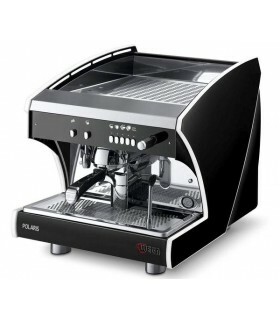 One group, electronic espresso coffee machine. It is an alternative on the market and boasts for excellent functionality, perfect ergonomic design and great value for money. It is a vailable only in electronic, high group version 124mm and offers great flexibility to users serving take-away drinks. For standard espresso cups, a removable cup stand is provided to reduce the height of the group to 80mm. 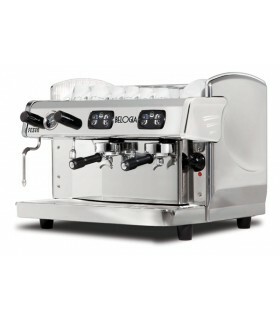 4 different programmable doses per group and a manual brewing button for manual dosing of coffee. Stainless steel steam tube with an additional made of Teflon, interior tube. Interior tube provides insulation on the external tube against high temperatures. Steam outlet with 3 asymmetrical holes, for better milk spinning or classic outlet with 4 holes.